The idea is to create a larger and more robust footprint for underground country and roots music at what is the yearly premier music event for the independent music industry, held in the “Live Music Capital of the World.” Unfortunately over the years, SXSW has become more “industry” and less “independent” as the festival has grown, and it has become a logistical nightmare for bands and fans alike to attend. SXSW is in essence a “pay to play” event, asking for non-refundable money for artists to be considered for officially-sanctioned showcases, and the event overtakes the entire downtown corridor of Austin for official SXSW use. The spirit behind XSXSW is to offer fans and artists an alternative to the SXSW madness, while still giving them the opportunity to take advantage of the massive collection of talent, resources, and networking capabilities SXSW affords, and unlike many SXSW events, it is completely open to the public. This is the 5th year Hillgrass Bluebilly has thrown the XSXSW event, and Saving Country Music and Muddy Roots are coming on board to give the showcase that much more support and impact. 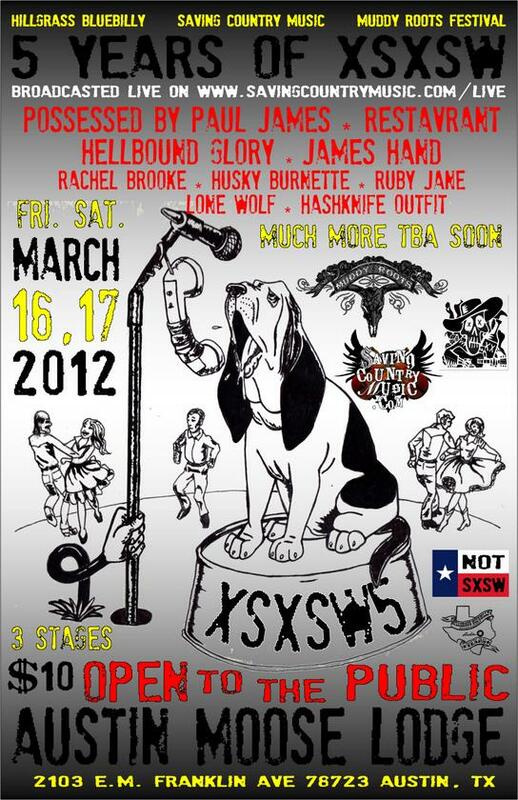 Previous XSXSW acts include Los Duggans, Left Lane Cruiser, Hillstomp, O’Death, Austin Lucas, & The Harmed Brothers. And this is not just important to artists and people in and around Austin. 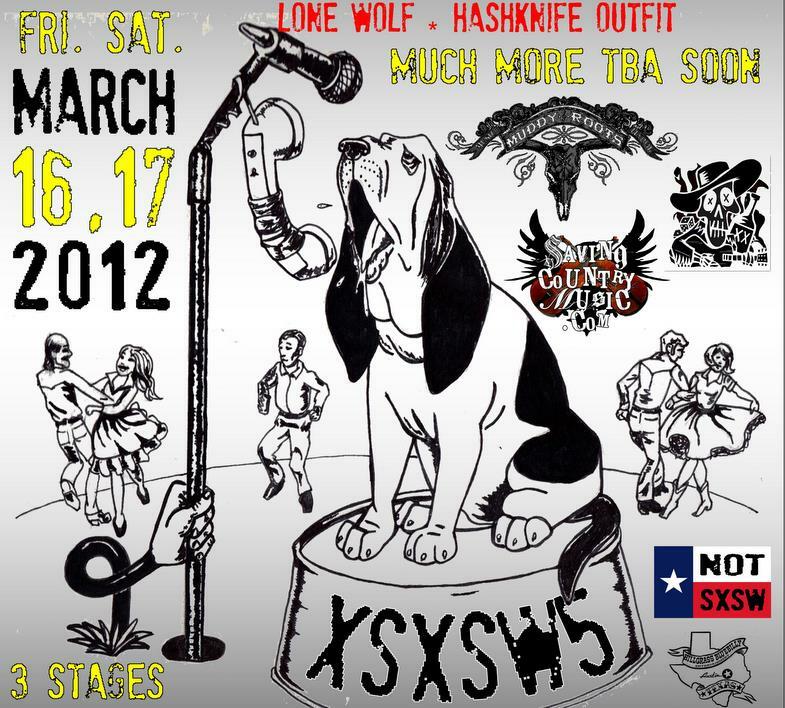 XSXSW 5 will be a national event, with a national focus, yet still in the original spirit of SXSW of showcasing local talent next to national acts. For folks from Texas, the Southwest, or anywhere else that can’t make it to other big independent roots events like The Muddy Roots Festival, Farmageddon Fest, The Deep Blues Festival, etc., this might be your chance to take part in a large scale event. And for those that can’t make it at all, the event will be broadcast right here on SCM LIVE, giving rise to national, and international participation via the web. …a revival of “lost America”, for our friends and family to have a place of our own. A place that IMPROVES & BUILDS FOR US as we bring them beautiful, exceptional music that you just flat out cant get anywhere else… and prove once again that you never know where a song might take you! This initial lineup of bands is just the tip of the iceberg of what the two day event will include, but we wanted to make folks aware of what will transpire. Florida’s Cracker Swamp Productions is also involved, and other entities and sponsors will be coming on board soon. 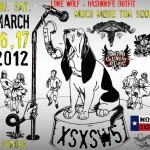 Stay tuned to Saving Country Music for more announcements and information on XSXSW 5 as March gets closer. Wish I could afford both events but Lowebow Fest 2 is my top priority this March. Too bad James Foot died in that plane crash in ’94. And don’t forget James “Protruding Abdominal Hernia” from Des Moines. Now that dude’s got soul! So many fests and shows. So rad. Good job. That is the beginning of my work year, so not sure I will make it, but I will try. Texas is far for a family man. Just might be able to attend! Well let us know if something comes together last minute. We might still have space and would love to have you on board. I’ll add this to my wish list of shows to travel to next year. It’s beyond awesome to know that it’ll be broadcast live as that’s the most likely way I’ll be able to catch it. Thanks! Looks like I’ll be seeing you sooner then later Keith! What are the official dates? that Friday & Saturday, March 16,17 2012 brother! Thanks pal! Will start planning now!